Poolbeg We are plan delighted to anno NEW FUNERAL HOME is good news in As one of Ireland’s foremost Funeral Directors, Staﬀord’s housing battle continues to evolve as a strong professional funeral service; sophisticated, professional and modern. O P SO EN O ING N ! Dundrum Town Centre, Sandyford Road, Dublin 16 D16 HT92 Leo andwww.bonavox.ie Kylie No home to go to Saints alive * Available most styles and fittings Our columnist on on Leo The human stories of Varadkar coming under homelessness have been fire for writing to the documented in a novel Aussie pop princess on ‘photovoice’ project that Government notepaper. was launched last week. One of the biggest British pop successes of the last few decades, All Saints, are coming to Dublin to play their only Irish show. Discover better hearing with bonavox 52 years providing hearing healthcare in Ireland. Insights into Dementia – Informing and Empowering Family Carers Are you caring for a family member who has dementia? If so, The Alzheimer Society of Ireland is running a short course in Bloomfield Hospital, Rathfarnham, D16. Topics include – Understanding Dementia, Communication, Personal Care, Safety in the Home, Changes in Behaviour, the Caring Role. For more information and an application form, please email: familycarertraining@alzheimer.ie or phone 1800 341 341. The course runs for one evening per week for six weeks, starting on Thursday 2nd May to 6th June 2019. Please note this course is only available to family carers. youngest son, Jasper, who is about to celebrate his 10th birthday. In 2010, when Jasper was only 10-months-old he was diagnosed with a very rare and aggressive form of cancer. sick children in Crumlin is invaluable. I look forward to the mini marathon every year. It’s such a great day out, the atmosphere is amazing. “I love the energy and the camaraderie amongst the ladies on the day. I would encourage others to take part in the fun and raise some money for a very worthwhile charity like CMRF Crumlin. You just never know when you might need their help.” CMRF Crumlin is encouraging people from all different ages and fitness levels to sign up to walk, jog or run the VHI Women’s Mini Marathon of 10k for CMRF Crumlin to raise vital funds for some of Ireland’s sickest children. For people who want to run the VHI mini marathon they can email Bernice Condon, Challenge Fundraising Executive, at bcondon@ cmrf.org or click on www. cmrf.org/get-involved/ ourevents/vhi-womensmini-marathon-2019. some light relief from the depressing Brexit debacle. Ultimately, the Taoiseach will be judged on more important issues – and he’ll soon have a chance to take the electorate’s temperature when the results of the European and Local Elections are known next month. In terms of the ‘Kyliegate’ controversy, if Leo’s guilty of anything, it’s simply of the lesser charge of having questionable music taste. Each to their own, I suppose. Huge Savings on Sofas, Dining, Bedroom and Accessories! EZ LIVING INTERIORS NAVAN: Navan Retail Park, Athboy Rd, Navan EZ LIVING INTERIORS DROGHEDA: M1 Retail Park, Droghteda, Now Open! and good old-fashioned service ... they way it used to be! Here at Wiltshire Farm Foods we know that sometimes you like to cook and sometimes you don’t. That’s why, for over 30 years, we’ve been delivering delicious freshly frozen meals for our customers to enjoy at home for when they need them most, be it every day or as a backup for the days you don’t feel like cooking or just don’t have the time! As a family owned business, we genuinely love that our service is helping customers stay healthy and happy and we pride ourselves not only on the quality of our meals, but on the professional and reliable service we provide to our customers. “Bread & Butter Pudding - our customer’s favourite” You can also mix your meal sizes to suit your daily appetite needs. Our mini meals extra range is great for smaller appetites or as an afternoon snack and for when you’re feeling hungrier our hearty meals range is sure to hit the spot. We also cater for a range special dietary needs. “Why Choose Wiltshire Farm Foods?” With our reliable home meal delivery service you can take comfort in knowing that you can have a delicious selection of healthy meal options in your freezer as and when you need them. With over 300 meals to choose from there is a delicious option to suit everyone’s taste and appetite so you will not get tired of eating the same meals week in, week out. Why not try some of our traditional dinners, like Irish Stew, Roast Beef or delicious Salmon in Seafood Sauce? We’ve a great selection of desserts too, Bread & Butter Pudding is certainly our customer’s favourite! “What do our customer say about our service?” “Easy to cook, a hot dinner ready in minutes” All meals are delivered frozen and ready to cook straight from the freezer and cooking is easy… just pop your meal into the microwave or oven and you will have a hot delicious dinner ready in minutes. And don’t forget dessert! If you love a little treat to go with a cuppa then our hot and cold dessert selection is guaranteed to satisfy that sweet tooth! The key to happiness is a healthy state of mind and eating a healthy diet plays a key role in this. With all of our Roast meals there’s no need toHearty worry about nutrientBeef quality, use by dates or food wastage as every dish has been Roast Chicken with Stuffing carefully planned by our team of chefs and dedicated Salmon Fillet in Mint Butter nutritionist to ensure they are both tasty and good for you. “The key to Roast Pork with Apricot & Leek Manufactured to the very highest standard, freshly frozen staying healthy Roast and packaged to lock inHearty the goodness! And ifLamb our food & happy is a doesn’t hit the spot, we’ll replace it absolutely free on your good diet” next delivery. “How the service works” Simply call us today for a Free Brochure on (01) 473 5595 or browse through our online menu and place your order at www.wiltshirefarmfoods.ie Our local team will deliver your order for free, ready for you to enjoy. www.wiltshirefar tasty dishes to choose from. years’ Over of delivering joy. DELICIOUS & DELIVERED Call now for your FREE brochure! Easter Monday Book Fair for Stillorgan EXCITEMENT is mounting as the Easter Monday Bank Holiday approaches bringing with it the Dublin City Book Fair in the Stillorgan Talbot Hotel from 11am to 5pm. Books old and rare, as well as books not-so-old and not-so-rare, prints, coins and postcards will be there to whet the appetites of the readers and collectors of Dublin - and surrounding area. Book Fair organiser Jim Vallely said: “The Easter Monday fair is the big one of the year - we’ll have a full house of booksellers from across the country and they have promised to bring their choice material - so a real treat is in store.” The print section will include illustrations from 19th-century newspapers - in a remarkable state of preservation. Jim aded: “Photography was still in its infancy in those times and leading artists of the day were employed instead. These old prints have to be seen to be believed - some date back to Famine times and show scenes of evictions and attempted evictions and from the style in which they are portrayed it can be seen that the artists had great sympathy for those being ejected from their homes.” There is something for everyone and you won’t be disappointed. Admission is €2.50 and accompanied children are admitted free. Find the advert in this newspaper, cut it out, bring it with you and the admission goes down to €1.50. How The People Group of Newspaper grew my business in 2019. I own and run a window cleaning and gutter clearing company. Our customers are commercial and residential in Dublin and surrounding areas and we’ve an ambitious monthly target to grow our business. Analysis of new customers showed we weren’t reaching the non-internet using generation, there were locations we weren’t established in and we wanted to trial an additional marketing strategy. We opted to trial a 10-week advert in the Northside, Westside and Southside People. 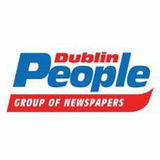 These free papers are published weekly, delivered to households all over Dublin and are left in convenient pick up locations. Thedigital version also has good readership. When the advert launchedwe immediately gained new customers. We reached non-internet using customers, digital version readers, and gained new residential and commercial customers all over Dublin and further afield. This advert was seen by one of the world’s biggest internet companies and resulted in award of a commercial 3 week contract at their 8 story high headquarters in Dublin. This is a successful marketing strategy and I will run advert weekly across all publications because it delivers excellent return on investment. running the event as a Clean Regatta through the international Sailors for the Sea programme, supported by the MaREI Centre, which will see us implementing a number of Clean Regattas Best Practices to reduce our environmental impact.” O’Dowd added. But the main interest is on the racing itself. A sideshow of the regatta is the national pride between Ireland and Britain and how many winners can rack up across the four days. The Volvo Trophy is on the line for the overall winner of IRC and 2017’s winner, Joker II, a local J109 design, is back to defend it. Joker II, under skipper John Maybury, was also the class winner of the highly competitive Class One. Two years later this class has only got stronger with some new local marques such as Andrew Algeo’s J99 Juggerknot II, as well as Scottish and Belfast boats contesting this division. The Scottish boats come to Dun Laoghaire under the recently developed RC35 class banner that will make the 35-foot regatta one of the most keenly contested battles of the season. As well as Class One, key classes in the line-up include the other IRC rating classes with a visiting fleet of vintage Half Tonners from Howth contesting Class Two. In addition, ‘one design’ classes will include the Beneteau 31.7s, Beneteau 211, Sigma 33, Ruffian 23s, Dragons and the RS Elites, who stage their British Championships as part of the VDLR, currently with 34 entries. Following 2017’s harbour bicentenary celebrations as part of the regatta, Myths & Seabird Half Raters from the 100-year-old Trearddur Bay in Wales are crossing the Irish Sea again for the July festival. The biennial fixture is organised jointly by the four Dun Laoghaire waterfront yacht clubs (the Dun Laoghaire Motor Yacht Club (DMYC) and the National Yacht Club. Did you get your mortgage between 2000 & 2003? You could be entitled to a substantial refund Fahy Law Solicitors, who have brought together a nationwide network of local independent legal firms and who have expertise in financial banking, believe that a number of people in Ireland may be entitled to significant interest rate rebates from Banks, Building Societies and Vulture Funds. Should you have concerns that you could be entitled to Mortgage Interest Rebates visit FAHYLAW.IE to learn more. Cochlear implant surgeon Peter Walshe pictured with (left) James Grant, from Deansgrange, and Sean Glennon, Lucan, at the opening of the new centre. At Foot Solutions we’re passionate about your feet. About what they can do, how they work and how they impact your health. That’s why we’re dedicated to making solutions that fit you. And why we travel Europe to find the best products that support and reduce pain. And why we spend the time to get to know you and your feet during our assessment process. For us, our job isn’t done until we’ve found the solution that helps you to better embrace the joy of movement. No two feet are the same, not even your own left and right. So properly caring for your feet begins with getting to know them, and you. Our 30 min Foot Assessment is free of charge and is completed in store by a trained pedorthist. We love your feet, someone has to! past two weeks and will be on display in Clondalkin library for the coming two weeks. The launch was also attended by the Mayor of South Dublin County Council, Cllr Mark Ward who welcomed and commended the work. Speaking at the event Mayor Ward said: “The issues raised in this exhibition relate to families across the city and country – they are not unique to South Dublin. “The exhibition clearly outlines the lived experience of families who find themselves homeless, and the impact on their mental health, relationships, and children’s development.” “The stories in this report are hard to read; and so, they should be,” Cllr Ward added. “They offer a powerful glimpse into the heartache, drudgery and stress that comes with being homeless. local community, and the way credit union loan officers go above and beyond every day to help our members’ achieve their dreams and goals. “From christenings to the first day at school, to buying that first car, to the dream wedding and to funerals, we are always here for our members every step of the way. It’s fantastic to see this highlighted in the series. “Of course, as viewers will see, we are also open to the more unusual loan requests in credit unions.” Robert added: “Each of the eight episodes is at times heart-warming, entertaining and tearjerking – viewers will not want to miss a moment. “If anyone watching the show feels like they could benefit from our services, I would urge them to make an appointment or call into us at any time.” The Borrowers is on RTE One every Tuesday at 8.30pm. Make sure your doggie gets the super holiday he deserves. settled and relaxed. • If your dog is on any medication, explain to the person or people minding him, when and how it is to be administered. It may be an idea to draw up a schedule with tick boxes to ensure he doesn’t miss any doses. Ensure the kennels or person minding your dog has your vet’s details should they need to contact them. • Ask the person or people minding your dog to send you updates or photographs to put your mind at ease so you can enjoy your holiday and see that he is enjoying his! The Dublin People has teamed up with Dogs Trust to help find homes for lost and abandoned dogs. Top dogs this week are Jack and Jessie, two incredibly adorable dogs who can’t imagine life without each other! They came into Dogs Trust together as best friends and are completely inseparable. Jack is a super friendly 9-year-old old Collie cross who loves everything and everyone! His favourite things in life are walks, yummy treats, belly rubs and attention! Jessie is a stunning 9-year-old Labrador cross who like Jack, is a happy and positive dog that loves to be spoiled! Jessie can be a little unsure of other dogs, so she will need some training to improve her doggie social skills. They are hoping for a family who can adopt them both and give them plenty of love. 10, in a nice quiet area! Visit www.petworlddirect.ie for more expert tips. Dogs Trust is based in Finglas, just off exit 5 on the M50. Map and directions can be found on their website at www.dogstrust.ie. You can also pop up for a visit. Dogs Trust is open six days a week from 12-4pm. The centre is closed all day Tuesday. You can also find Dogs Trust on Facebook at www. facebook.com/dogstrustireland or Twitter @DogsTrust_IE. anniversary, Marc planned a weekend to Kerry. That evening we went for a walk along the lakeside at sunset. I had Marc’s jacket on. He asked me to check the pockets, where I found my ring inside. Marc was on one knee as I looked back up. What’s the most romantic thing you’ve ever done for each other? Gráinne: I would say our weekend in Kerry when Marc proposed was the most romantic time of my life… so far! Marc: Shortly after moving into our home, Gráinne (knowing I have always wanted my own dog) surprised me with a Labrador puppy. What would your ‘first dance’ song be? Elton John – ‘Your Song’. Galtrim Lodge, a recently renovated period bungalow in the heart of Bray is a deceptively spacious and contemporary family home full of character and charm with secure private parking behind electronic gates; further complimented by a large west facing garden and its convenient location beside all that Bray Town has to offer. Presented in an immaculate ‘turnkey’ condition having been completely upgraded and modernized, viewing is highly recommended. nearly two years and would love to be able to have our perfect day at Roganstown. Hotel. 16 Planning & Notices PLANNING DUBLIN Dún Laoghaire Rathdown County Council Permission is sought for the following: Construction of a two storey extension to the existing two storey dwelling and all associated site works at Ballycorus, Kilternan, Co.Dublin by Nicholas and Orla Fahy. The planning application may be inspected, or purchased at a fee not exceeding the reasonable cost of making a copy, at the offices of the Planning authority, County Hall, Dún Laoghaire, during its public opening hours. A submission or observation in relation to the application may be made to the Planning Authority in writing on payment of the prescribed fee (€20.00) within the period of 5 weeks beginning on the date of receipt by the Authority of the planning application, and such submissions or observations will be considered by the Planning Authority in making a decision on the application. The Planning Authority may grant permission subject to or without conditions, or may refuse to grant permission. PLANNING DUBLIN Dublin City Council I, Aine O’Loughlin intend to apply to Dublin City Council for planning permission for development at No. 11 Rostrevor Road, Rathgar, Dublin 6, DO6TOA4. The development will consist of: the conversion of most of the garage at the side of the house into habitable space including the replacement of most of the flat roof of the garage with a pitched roof and its extension at the rear as well as the removal of a shed and all associated site works. Minor alterations to the rear elevation of the house are also proposed. The planning application may be inspected, or purchased at a fee not exceeding the reasonable cost of making a copy, at the offices of Dublin City Council during its public opening hours (9.00a.m.- 4.30p.m.) and a submission or observation in relation to the application may be made to the authority in writing on payment of the prescribed fee within the period of 5 weeks beginning on the date of receipt by the authority of the application. PLANNING DUBLIN Dublin City Council I, Gerry MacMahon, intend to apply for planning permission for development at 41 Fortfield Terrace, Rathmines, Dublin 6. The proposed development will consist of the conversion of the existing attic space into 2no. bedrooms and bathroom, new roof profile to side and rear of house to accommodate new bedrooms and will include 3no. velux windows to the front of the house, together with minor internal modifications and associated site development works. The planning application may be inspected or purchased at a fee not exceeding the reasonable cost of making a copy, at the offices of the Planning Authority during its public opening hours and a submission or observation in relation to the application may be made to the Authority in writing on the payment of the prescribed fee within the period of five weeks beginning on the date of receipt by the Authority of the application. PLANNING DUBLIN Dun Laoghaire Rathdown County Council Permission sought for first floor bedroom with ensuite bathroom rear extension over existing kitchen/ dining room, garage conversion to bathroom and study with new bay window, bay window to living room, hipped roof over garage area and canopy roof to front elevation. Proposed gateway widening from 2.2m to 3.0m at 14 Glenabbey Rd., Mount Merrion, Co.Dublin A94A6W6 for Craig & Viven McKechnie The planning application may be inspected or purchased for a fee not exceeding the reasonable cost of making a copy, at the offices of the Planning Authority, Marine Road, Dún Laoghaire, Co. Dublin, during its public opening hours of Monday to Friday from 10am - 4pm. A submission or observation in relation to the application may be made in writing to the Planning Authority, on payment of a fee of €20 within 5 weeks of receipt of the application by the Planning Authority and such submissions or observations will be considered by the Planning Authority in making a decision on the application. The Planning Authority may grant permission subject to or without conditions or may refuse to grant permission. PLANNING DUBLIN Dublin City Council We, Tom Walsh and Freda O’Donnell intend to apply for planning permission at No. 172 Corrib Road, Dublin 6W, a two-storey mid-terrace house. Development to consist of demolition of flat roof shed (2m.sq), adjustment to gate at shared passage and construction of two-storey extension to rear consisting of ground-floor kitchen-dining-living room extension (32m.sq) with flat roof and roof-light plus first-floor bedroom (12m.sq) with flat roof, plus widening of vehicular access gateway to existing off street parking for one car plus landscaping and all associated works. The planning permission may be inspected or purchased at a fee not exceeding the reasonable cost of making a copy, at the offices of Dublin City Council during its public opening hours. A submission or observation in relation to the application may be made in writing to the planning authority on payment of the prescribed fee) within the period of 5 weeks beginning on the date of receipt of by the authority of the application. PLANNING DUBLIN Dublin City Council Permission is sought by Joan Kelly and Michael Kelly for development at 49 Fortesque Lane, Rathmines, Dublin 6, i.e. at the rear of 49 Lower Mountpleasant Avenue, Rathmines, Dublin 6. The development, within the curtilage of a property listed in the Record of Protected Structures, will consist of the removal of the existing rear gate and garden shed, the creation of a set back entrance onto Fortesque Lane, the construction of a two storey building comprising a covered car port and roller shutter, side gate, garden room and entrance lobby at ground floor level and a home office at first floor level. The roof will comprise a selected metal clad curved section and a flat section. The external walls will comprise selected brickwork and cladding. The planning application may be inspected, or purchased at a fee not exceeding the reasonable cost of making a copy, at the offices of Dublin City Council during its public opening hours. A submission or observation in relation to the application may be made to the authority in writing on payment of the prescribed fee within the period of 5 weeks beginning on the date of receipt by the authority of the application. Talk to Dublin... Talk to us! Terms and conditions for acceptance of advertisements North Dublin publications Ltd Reserves the right to decline, omit, suspend or alter any advertisement In any of its publications or to terminate any contract and will not be held responsible for any loss caused thereby. No liability is accepted for any loss or damage caused by an error in printing of any advertisement. No liability is accepted for any loss or damage alleged to arise through delay in forwarding copy. All Saints to headline Bulmers Live at Leopardstown show ONE of the biggest British pop successes of the last few decades, All Saints, are coming to Dublin to play their only Irish show this year as headliners at this summer’s Bulmers Live at Leopardstown 2019. Nicole and Natalie Appleton, Melanie Blatt and Shaznay Lewis have sold over 12 million albums during an amazing career that has seen the band recently reform after a 10-year hiatus to both tour and record new material. With a string of Number 1 album and singles to their name, including ‘Never Ever’ (the second biggestselling single of all time in the UK), ‘Pure Shores’ and ‘Black Coffee’, All Saints have also collected BRIT and MTV Awards along with a coveted Ivor Novello Award for ‘Pure Shores’. All Saints returned in 2016 with the hugely successful and critically acclaimed album ‘Red Flag’, which reached Number 3 in the Official UK Albums Charts, while embarking on a sold-out tour, festival appearances and playing to over half a million people supporting Take That on their arena tour of the UK. Westlife gig to be screened in cinemas WESTLIFE are well and truly back with their biggest tour to date coupled with their two new singles ‘Hello My Love’ and ‘Better Man’ going straight to the top of the iTunes charts around the world...it’s like the pop icons have never been away! Celebrating 20 years since their debut single hit the No 1 spot, ‘The Twenty Tour’ will see the band perform together for the first time since 2012. Now, cinema goers across the UK and Ireland will be able to join Shane, Nicky, Mark, and Kian and the sold-out crowd at Dublin’s Croke Park Stadium on Saturday, July 6 direct from their local cinemas. minutes from Dublin City Centre on the Luas Green line, with dedicated shuttle buses running from the Sandyford stop and the Blackrock Dart Station. Leopardstown is located off exit 14 or exit 15 on the M50 southbound or exit 15, M50 Northbound. There is also ample free parking available onsite. For tickets and hospitality options - go to www. leopardstown.com or call the Leopardstown ticketline on 01-2890500. There are also discounts for advance group bookings available online. Advance entrance ticket price is only €17, with Entrance Tickets at €20 on the day. Poets to Fall on The Academy FINNISH rockers Poets of the Fall - singer Marko, guitarist Olli and keyboardist Captain - started out their musical adventure from scratch in 2003. Marko sold everything he had to invest in pursuing the love of his life, music, with his buddies Olli and Captain. He moved into his parents’ basement, when he couldn’t keep a place of his own any longer. The guys then built a little studio of their own in Captain’s living room for the recording and producing sessions, and kept an office in Olli’s beat up old car. The result of the recording sessions was a blend of pop, rock, metal and industrial sounds. Later the guys were joined by guitarist Jaska, bassist Jani and drummer Jari. The band’s first single was ‘Late Goodbye’, written for the acclaimed computer game Max Payne 2. Reaching millions of people through the game, the song earned the guys international recognition and the first prize at the G.A.N.G. Awards in 2004. Their debut album Signs of Life went straight to No 1 on the Finnish album chart in January 2005, and stayed on the chart for over a year. The next album Carnival of Rust, released in April 2006, also hit the number one spot on its first week. They are live at the Academy on Saturday, December 7. Sarto Kearny takes to the slopes in Kilternan. Vinney Graham tests out his skills. Stuart Brierton, Charlie O’Reilly and Gary Burton are pictured at the Kilternan Karvers Ski Club. Shannon Brooker, Fiona Bryson and Marie Connolly. Peugeot’s concept car is unveiled PEUGEOT presented an electrifying 400bhp peugeot sport engineered 508 Concept Car at the Geneva Motor Show in March as a prelude to the development of a new range of compelling electric vehicles from the lion-brand. The concept car, a derivative of the peugeot 508 hybrid fastback, due in showrooms at the end of 2019, combines a level of high performance never seen before from a Peugeot vehicle, with low emissions of just 49g CO2, together with svelte, stylish looks. Uniting the potency of three engines (a PureTech 200bhp petrol engine, a 110bhp electric motor at the front and another 200bhp motor at the rear), two power sources and four-wheel drive, the concept car is capable of 0 to100km/h in 4.3 seconds and a maximum speed of 250kmh. Without any compromise all the advantages of a plug-in hybrid vehicle are on offer. radiator. The sub-frames are fitted with flaps to reduce aerodynamic drag. Streamlined winglets are located on the quarter panels. The special Selenium Grey body colour changes according to the light, thanks to the fine opalescent particles contained in the paint. High-performance Michelin tyres are fitted to 20" alloy wheel rims, with the Peugeot signature on the brake callipers. Braking design is tailored to match performance: 38 mm ventilated front disks fitted on aluminium discs activated by four sliding pistons (38 and 41 mm in diameter) mounted on a fixed calliper. The 508's exceptional chassis has been modified to not only lower the vehicle body height, but to widen the front track by 24 mm and the rear track by 12 mm. The precision steering has also been improved to provide extra efficiency and heightened pleasure at the wheel. overstitching, only adds to the vehicle's agility and the head-up instrument panel allows the driver to have a clear view of the road and to have 100 per cent concentration. Total immersion is guaranteed with the 10" capacitive HD touch screen and the 12.3" head-up digital pad. 24-hour race and the 3008 DKR at the Dakar Rally, is also recognised for sought-after road-going models such as the RCZ-R, the 208 GTi and 308 GTi. Peugeot drew upon years of experience gained from trailblazing electric concept cars from the last ten years. The Mitsubishi Outlander PHEV is an electric vehicle and so much more. A fusion of electric and petrol technology creates just 2.0L/100KM (WLTP) and ultra low CO2 emissions. Yet it also comes with the power of twin motors, a Sport Mode, S-AWC 4X4 system and delivers a combined range of 600KM. Drive the best of all worlds. Bill Sheehan & Sons 1-5 Templeogue Road, Terenure, Dublin 6W Tel: 014970123 Model shown is for illustrated purposes. Outlander PHEV Intense price shown includes €5,000 SEAI grant and €2,500 Government VRT relief for Plug-in Hybrid Electric Vehicles. Price excludes metallic paint, Dealer delivery and related charges. Combined fuel consumption: 2.0L/100km (WLTP). Combined CO2 emissions: 46g/km (WLTP). 8 Year Warranty Terms & Conditions apply - see mitsubishi-motors.ie. Plan ahead for a fab fitted kitchen Doors and cabinets are a very important part of the kitchen because it is these that make up the bulk of your new fitted kitchen. So it is important to know what you want. Kitchen doors Most kitchen doors are made from Moisture Resistant MDF (Medium Density Fibreboard) and are covered with a foil wrapping. You may hear terms like one-piece doors and fivepiece doors. Well in short, a one-piece door is routed, shaped and designed out of one piece of MDF. 1. Style and quality of Five-piece doors are the product made from five individual When it comes to pieces of MDF that are then kitchens there is tons of choice in the marketplace. wrapped and put together to make the door. There are German made These are the most kitchens, English made kitchens, Irish kitchens etc. affordable type of doors on PLANNING a new fitted kitchen is tricky but with the right help and advice you can create a dream room that instantly adds comfort, convenience and value to your home. Ben Brown of Kitchens4u.ie is an experienced kitchen designer and planner for new fitted kitchens and full kitchen makeovers. In this feature, he goes through ten things you should think about when it comes to planning a new fitted kitchen. 1-2 days No Fuss Installation It makes sense! A cluttered kitchen ready to be transformed. look at kitchen doors that have the handle built in to the design of the kitchen for clean lines and a sleek look. Remember you are going to need one if you are getting a new fitted kitchen. colours. Hard wearing and lasts a lifetime if looked after. 10. Budget Ah yes, the demon in 8. Plumbing works the closet – money! So Like electrical works 6. Integrated storage these go hand in hand with what should you know mechanisms about budgets? Well it is a new kitchen and cannot There are lots of fancy important to set a budget be avoided. storage products like on what you want to spend Your plumber will be a pull out larders, pull out vital part of the plan as you on your new kitchen and baskets for larders, magic associated works. corners, le-mons corners, need sink, dishwasher, It is vitally important to washing machine chefs pantry, spice racks understand what you have disconnected and reetc. to spend, and what are the connected. Lots of choice for your most important things that And if you are using new kitchen here so you need to spend it on gas for cooking in your research the products By all means create the carefully and ask for advice kitchen you will need to The same kitchen from the opposite page but beautifully transformed. biggest wish list for things have an RGII registered on the pros and cons for you want and services plumber who can certify these items. installations and give you a you need in order to Get a professional’s complete your project. But certificate. opinion and see how they GARDEN LANDSCAPE AND TREE SURGEON SERVICES remember if your budget can benefit you in your does not stretch to meet 9. Tiling/plastering/ home. your full wish list then you flooring 40% OFF You may or may not need will have to compromise 7. Electrical works THIS Electrical works go hand these tradespeople initially on some things otherwise MONTH you risk letting the project but if you are having tiles in hand with a new fitted run away with you and on the floor or walls you kitchen. In order to take spending a lot more than out the old kitchen you will will need a tiler. you intended. You may also need to do need to disconnect electric necessary works to make ovens and hobs. the floors good to take new Kitchens4u.ie offer Then you might want tiles and similarly the walls complete kitchen some new socket and solutions. Call 01-8063445 for back splash tiling. switch fronts and maybe or 01-8167518 or visit www. Alternatively you may new socket points in kitchens4u.ie where you different parts of the room. choose to use some of the Professional and Reliable Service • Many years of experience • Free Estimates • All work guaranteed can shop online for kitchen great laminates that are Ask your electrician EstablishEd ovEr 20 yEars Friendly Service • All green waste removed and recycled • Fully Insured components. You can also available now. about present day drop into the showroom in These are great looking regulations.WindoWs Make sure Patios, Driveways, Paths, Concrete & Gravel • Extending Driveways, Moving Pillars • doors • Conservatories Baldoyle Industrial Estate, wood effect flooring that your electrician is RECI residential & CommerCial • doors • Conservatories Dublin 13. come in a multitude of or safe electricWindoWs registered. IWHITE EXPRESS RRP €39.99 iWhite are constantly innovating, making it now possible to get whiter teeth in just 1 minute with iWhite Express. iWhite Express has been clinically proven to be dental safe and instantly effective. You will see an immediate effect within just one minute. The disposable sponges are ultra-thin and flexible which ensures a maximum performance and are easily replaceable after one use. The combination of the ultra-thin sponge and innovative teeth whitening serum leads to pearly white teeth and long term cleanliness of the tooth surface. iWhite is available at www.distinctdistribution.ie and all major pharmacies nationwide. URIAGE THERMAL WATER RRP €5 (50ML) / €9.50 (150ML) Packaged directly at the source, it is collected pure and is naturally rich in mineral salts and trace elements. Its composition makes it the most balanced of all thermal waters. Its unique composition enables it to strengthen the skin barrier and become the skin’s guardian angel. Thanks to its high concentration in mineral salts similar to the skin’s natural moisturising factors it offers unique moisturising benefits. It soothes sensitive skin thanks to the high level of calcium and magnesium salts. Silicon strengthens the skin hydrolipidic film. It also helps restore the cutaneous barrier, thanks to mineral salts. Uriage products are available in pharmacies nationwide. THOMAS SABO For the first time, the international jewellery and watch brand, Thomas Sabo is realising its unmistakable DNA by creating its own eyewear line. Defined by unique designs, high manufacturing quality and supreme comfort, the brand transforms an exquisite selection of classic eyewear models into expressive statements. The collection includes 16 models of sunglasses in 48 colours with an additional 12 models with polarised lenses. The look of the first Thomas Sabo eyewear models in summer 2019 stands for an en-vogue metal-acetate mix, self-confident oversized styles, extraordinary all- one-colour looks and colour nuances inspired by precious stones such as rose quartz, mother-of-pearl and smoky quartz. The sunglasses and eyewear chains of the new Thomas Sabo Eyewear Collection will be available in the online shop at www.thomassabo.com and in stores later this summer. AYA FULL GLAM SET €95 Ayu is an Irish make-up company set up by renowned make-up artist Suzie O’Neill in 2015. Starting with a range of affordable, premium quality brushes back in 2015, the brand offering has expanded to include a Signature Eye Shadow Palette, a Radiance Cream and the newly launched easy-to-use brow pencil, with many new and innovative products in the pipeline. Ayu Make Up is dedicated to empowering women with the tools and knowledge to bring out the best version of themselves. The brand’s ethos is to show women how to enhance what they already have rather than mask it. Ayu is available to buy online and from selected stockists nationwide and over the coming months there will be a host of exciting new products launching to the market. One of these is the ‘Full Glam’ eye shadow brush set, which includes every brush you would need for a full make-over. See www.ayumakeup.ie for more details. • Cormac Spencer is a a candidate who can Recruitment Consultant/ take on new challenges Director at Link Personnel and succeed. There is no excuse for not having a good CV. There are ample online resources available to assist and most recruiters will work with you to ensure your CV is up to scratch. An employer’s time is limited, so make sure your CV gives them food for thought and not cause for concern. Don’t waste your opportunity to make a good first impression. We are an International high end fashion eyewear wholesale and distribution Company located in Dublin, Ireland. We are looking for an experienced Accounts Assistant to join our expanding team. The position will require an ambitious, energetic, highly motivated person who is willing to learn and be a part of a fast growing and successful global company. This position will report to the Finance Manager in Dublin. Responsibilities: • Accounts Payable management - ensuring all suppliers are paid within terms • Preparation of weekly cash flow report • Assist with Accounts receivable collections in Portuguese speaking market • Handling customer queries on invoices and payments • Timely application of funds received • Weekly and monthly bank reconciliation for multi-currency bank accounts • Processing employee expenses • Processing sales commissions • Balance sheet reconciliations • Intercompany • Assisting with month end • Other finance department tasks as needed Candidate Requirements: • Minimum Experience Required (Years): 5 • Minimum Qualification: Level 7 (incl Diploma & Ordinary Bachelor Degree) • Languages: Fluent English & fluent Portueguese. Defog double glazing? Windows We repair it Dublin or replace it! • Powerwashing, Sheds knocked & taken away. All our workmen carry Valid Id Full Liability Cover. Replacement roofs. • Wide range of • Wall panelling. Roof repairs. composite decking • Doors. Roof / ceiling leaks from market leading • Floors. uPVC soffit / fascia / suppliers. • Skirting and guttering. • Wide range of architraves. wooden decking. GENERAL MAINTENANCE • Residential and • Traditional fencing. commercial • Ship lap fencing. maintenance. • Fence panels. • Electrical services. • Repair and replace • Plumbing services. old fences. • Building maintenance. • House gates. Garden landscaping / maintenance. Bolton House, Aughrim Lane Business Complex, Aughrim Street, Dublin 7, Ireland. • All kinds of Trees expertly felled & pruned • Paving Flags, Fencing, Wall Building • Trees Removed - Roots Destroyed • Gardens Renovated, Shaped & Designed • Maynooth Instant Lawns Installed. • Hazardous 15 meter Trees Cut and Removed • Block Paving & Patio’s • New Lawns Laid • Sheds Knocked and Removed • Artificial Grass Laid • CERTIFIED KILSARAN PAVING ACCOUNT, 100% QUALITY GUARANTEED. EVERGREEN GARDENING & PAVING All General Garden Work & Tidy ups. Instant lawns, Fencing, Overgrown Gardens, Block Paving, Flags, Dangerous Trees Removed. Sheds Knocked Down & Replaced. All types of Pebbles, Grass & Topsoil. 25yrs Experience, Free Estimates, Friendly Service, Fully Insured, No payment until job is complete. For All your General Garden Work For All your General Garden Work Overgrown Gardens, Garden Clearence, Fencing All Types, All Materials & Plants Supplied, Patio’s. • Free Estimates, • Friendly Service, • No payment until job is Complete, • Fully Insured. lostun-necessarily un-necessarily increasing annual fuel bills. HAVE YOU HAD YOUR ROOF CHECKED BEFORE THEyour HARSH WINTER totobebelost increasing your annual fuel bills. AHEAD. MASSIVE REDUCTION SALE NOW ON!! Free Estimates, Fully Insured, 20 years Experience No payment until job is complete. Quality work References Free Estimates Tel Des ON 087-2228845. Peter Carroll & Sons Ltd.
PLASTERING CONTRACTORS * All your plastering needs covered. * No job too big or small. Specialists in Internal Insulation. It’s cheaper than you think! Quantity Surveyor, Foreman, Project Manager, Qualified Electricians, Plumbers, Carpenters, General & Skilled Operatives, Groundworkers, Blocklayers, Plasterers, Painters, Scaffolders, Steel Fixers, Cleaners, SLG & TM Operators, All Tradesmen/Plant & MEWP Operators required for Dublin and Leinster Region. Pracownicy Budowlani z safe passem potrzebni. Residential & Commercial. Registered & Insured. Window Cleaning. Gutter Cleaning. High Reach. FLOOR SANDING PROFESSIONAL FLOOR SANDING Expert FLOOR SANDING & RESTORATION services in Dublin and surrounding areas. SWEET CHARITY Baldoyle Musical Society proudly presents ‘Sweet Charity’, from April 23-27 at 8pm at St Mary’s Secondary School, Baldoyle. This year marks the 50th anniversary of the release of the classic movie which features such hits as ‘Rhythm of Life’, ‘Hey Big Spender’, and ‘If They Could See Me Now’. Tickets are priced at €15, and €12 for concessions and groups (of 10 and over). Book at 085-1378329 or www. baldoylemusicalsociety.ie. Jervis Shopping Centre is hosting a fantastic programme of free family events on Saturdays during April. With events happening on the first floor, parents can keep the kids entertained and take turns browsing the retailers the centre has to offer. This Saturday (April 20) from 1-5pm there’s Giant Bubble Shows, where you can jump into a giant bubble or try to catch the biggest bubble you’ve ever seen... plus keep an eye out for the Easter Bunny. For added excitement, Jervis Shopping Centre staff will be giving out prizefilled balloons. Simply bring your balloon to the event space to see if you have won a prize. LIVING HISTORY TOURS Have you ever wondered what it might have been like to live in the Middle Ages? No mobile phones, no iPads and no television! Well don’t worry. Now you can have the best of both worlds as Dalkey Castle & Heritage Centre has announced its Living History Tours are returning just in time for the Easter break. Tours take place every day except Tuesday. Drop in tours are €9.95 for an adult and €7.95 for a child under 12. A family ticket (two adults and two children) is €25. This Easter bank holiday weekend, families are invited to experience a host of Easterthemed activities at Dublin Zoo, including an exciting Easter trail, games, face-painting and more! The events will run from 12pm until 4pm on Easter Sunday and Monday (April 21 & 22) and promise to be fun-filled days for the entire family. Little ones can enjoy festive facepainting and will delight in the Easter-themed trail around the Zoo, while the whole family can enjoy a live DJ throughout the day. With carnival style games and an Easter bunny on site, this promises to be a great family day out! ELECTRIC Actor and writer Ali Hardiman’s debut play ‘Electric’ has been getting fantastic reviews and it’s coming to Axis in Ballymun on Wednesday, April 17. It’s a laugh out loud comedy about two girls from either side of Dublin who meet at the madness of Electric Picnic and find themselves breaking down the barriers that divide them. From the moment the audience arrives they are immersed in the festival experience; with fabric wristbands as tickets, festival artists doing face painting and glitter and the theatre is designed like walking into a huge tent for the performance. Tickets from €10 can be booked online at www.axisballymun.ie. A new exhibition, ‘The Birth of Irish Modernism in Irish Art’, has opened at the State Apartments Galleries in Dublin Castle, Curated by David Britton, the exhibition explores the development of modernism in Ireland beginning in 1920, a period of political turmoil for the country and ending in the modern Ireland of 1960 and contains 47 works by such artists as Roderic O’ Conor, Jack B. Yeats, Paul Henry and Sir John Lavery, It’s on display until August 18. Times: 9.45am–5.15pm every day and admission is €3. ‘A Day in May’ is the story of the long fight that led to marriage equality – the story of how a country that was one of the most conservative in the West became the first in the world where the people voted for marriage equality. The play takes us from the dark days of 1982 and the murder of Declan Flynn, through decriminalisation and the split in the movement over civil partnership, up to the campaign for marriage equality and #hometovote. Happening at Draíocht, Blanchardstown on Thursday, April 18 at 8pm. Crossword Answers April 17th CRYPTIC SOLUTIONS Across: 1 Opera; 4 Milksop; 8 Teacher; 9 Nadir; 10 Fate; 11 Newsreel; 13 Flop; 14 Tart; 16 Coracles; 17 Alto; 20 Irene; 21 Monster; 22 Earnest; 23 Therm. Down: 1 Out of practice; 2 Exact; 3 Ache; 4 Murder; 5 Linesman; 6 Saddest; 7 Parallelogram; 12 Concrete; 13 Forbear; 15 Permit; 18 Lathe; 19 Gnat. QUICK SOLUTIONS Across: 1 Remit; 4 Debacle; 8 Nervous; 9 Trait; 10 Ugly; 11 Catacomb; 13 Glib; 14 Pair; 16 Sluggish; 17 Etch; 20 Extol; 21 Relieve; 22 Mineral; 23 Guest. Down: 1 Run out of steam; 2 Moral; 3 Tool; 4 Dismay; 5 Betrayal; 6 Clamour; 7 Establishment; 12 Singular; 13 Glutton; 15 Astral; 18 Theme; 19 Flag. The Tayto factory in Coolock pictured during the 1970s. Lansdowne Road pictured in the pre-DART era.